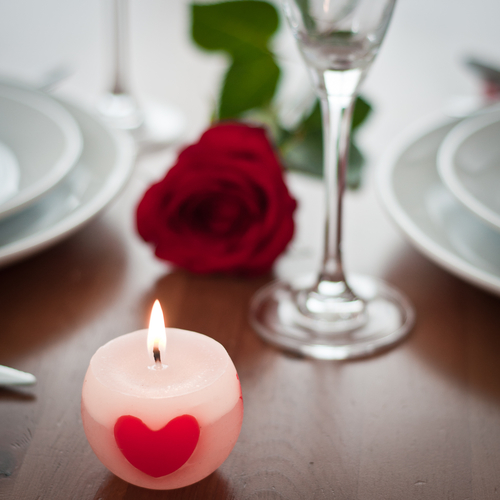 If you’re looking to take your Valentine out for a romantic dinner on the town on Feb. 14, you’re certainly in luck – there are tons of fine dining restaurants near your Third and Valley apartment that are sure to impress, no matter what cuisine you prefer. If this Valentine’s Day you plan on dressing up and heading to one of the finest culinary spots that West Chester has to offer, then be sure to check out some of these local restaurants – before their reservations fill up! Giorgio’s, located at 52 Vose Avenue which is about a half a mile from your Third and Valley apartment, serves traditional Italian food favorites in a white-tablecloth setting in a cozy, converted home. Try the crusted hazelnut salmon which is pan seared and served with mushrooms and asparagus in a creamy pesto sauce or the costollette di agnella, which are lamb chops sauteed with shallots in a Barolo wine. Above, located at 1 South Orange Avenue which is about half a mile from your Third and Valley apartment, is a contemporary American dining eatery that also houses a sushi menu in a refined setting with a big patio and live music. Don’t miss out on their chilled twin lobster tails, colossal shrimp east and west coast oysters, little neck clams and lump crab meat piled high. Papillon 25, located at 25 Valley Street which is about a block from your Third and Valley apartment, is an upscale restaurant and martini bar serving eclectic New American fare in an airy, modern space. Try their coconut shrimp, which are jumbo shrimp tossed in shaved coconut and deep-fried served with a Hennessy apricot marmalade, or the sashimi tuna with wasabi and ginger sauce served with baby greens.